UCT master’s student Thobela Bixa has won the prestigious Telluride Sidgwick-Miller Scholarship for 2011/2012, an award that will allow him to further his career at the University of Michigan in the US. Based in the Department of Chemistry, Bixa is conducting research on asymmetric synthesis, which involves the use of what’s known as chiral catalysts to synthesise biologically active compounds that are potential drug leads. “The two projects (from UCT and UM) will give me a broader experience, understanding, and knowledge of asymmetric synthesis, a current hot topic in the field of organic chemistry research,” commented Bixa on the scholarship. 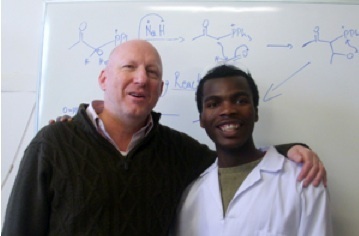 In picture, Bixa appears with his UCT supervisor, Prof Roger Hunter. The Matric Ball: More than just a school dance! Life is made up of monumental moments. From your first step to your last breath you can identify a series of ‘landmarks’. In the last 2 weeks the Matric Ball has been one of these landmarks for many Ikamvanites. The event marks the end of a long and arduous journey, but it is also the celebration of the next step. The preparation and excitement was overwhelming, and I must admit I was rather bemused at the money and time spent designing, making, and buying all manner of clothing, shoes and accessories. However, any bemusement and judgement I was harbouring vanished when I saw the smiles and glowing eyes of our grade 12s as they exited the limo that was kindly sponsored by ERM, and took a walk down the red carpet through a rabble of screaming fans – this was a monumental moment! The very fact that these learners are matriculating is monumental. In a country where only 67.8% people matriculate, and where the majority of learners from previously disadvantaged communities drop-out before the final year – it is astonishing that these learners have made it this far, especially given the obstacles along the way. Our learners have their own home challenges to face including; teenage pregnancy, alcoholism, drug abuse, domestic violence etc. In addition there a multitude of community problems that play in to the tangled web of implausibility. At the Nyanga branch there have been constant gang fights and high crime rates, which have driven many of the learners away from the library, particularly in the winter months when the journey home after tutoring in the dark was treacherous and a number of our learners were victims of theft and muggings. Other mindless crimes that we are battling with are office petrol bombs and internet cables being stolen on a regular basis. At the Makhaza branch, a number of learners who attend Chris Hani High School were caught up in the protests that resulted following an incident in which a learner was badly beaten following a disagreement with the principal (please see the article about the event). The principal remains in his position and the learners’ fury is simmering. There is daily commotion and an unsettled atmosphere, which is not conducive for a learning environment. There is very little respect left for the principal and when we are looking to teachers to provide positive role models for these young people, these actions are unacceptable. In this context it is a wonder that these learners have the resolve to even attend school, let alone IkamvaYouth. The schools themselves aren’t making it any easier for the learners and this threatens the results and futures of many of our Grade 12s. Extra classes have been scheduled for everyday after-school at all Western Cape schools, which has limited the learner’s access to the IkamvaYouth programme. While it is a positive step to increase teaching times at the schools, this has been done in order to complete the curriculum and exam material (that should have been completed in school time) rather than offering any additional support. There is the feeling that these classes are just replicating the model that isn’t working, while limiting access to a tutoring programme that is. 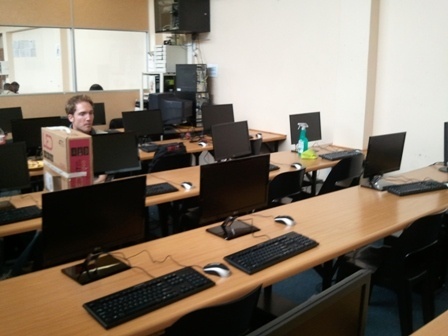 There has also been the demand on learners to attend extra classes throughout the holidays and at weekends. An ‘all work and no play’ method that seems like the only option open to the department of education at this stage. Despite all the extra hours, many Grade 12s remain severely behind as they haven’t been taught the entire curriculum yet. This is particularly the case where learners have not had a teacher for much of the year; at one school learners were left without a physical science teacher for 11 weeks. The tutoring sessions have thus become impromptu lessons rather than targeted individual tutoring, and tutors are less able to develop the learner’s deep understanding. At all branches there has been additional tutoring sessions in an attempt to rectify the knowledge gaps. At Makhaza the ‘Matric Success’ project was established, which focuses entirely on mathematics for matric examination success. At Nyanga and Masiphumelele the tutors are in full force and learners are attending the library as much as they can for cramming sessions. One wonders, if at this stage it is too late. 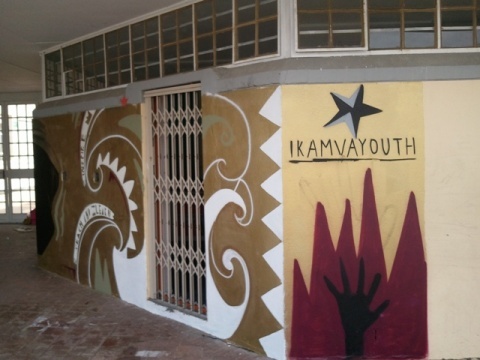 IkamvaYouth doesn’t exist in a vacuum – there are a multitude of societal, economic, political, cultural and educational problems that we are grappling with at every step. 2011 has been a tough year with numerous obstructions, both internally and externally, but there is still an optimism in the air the Ikamvanites can once again perform an unprecedented miracle. It is in this context that a Matric Ball becomes something far more than just a school dance and instead represents the commitments made so far and the decisive steps that must be taken now to ensure the realisation of a better future; a better South Africa! Of course it is also about the rare chance to dress up; the hair, make-up, shoes, sunglasses, suits, ties, and dresses…and of course the after party! Thank you to everyone that helped to support the Masiphumelele Grade 12s to attend their Matric ball and make it into a happy memory. There was reason to celebrate once more this week as resident accounting genuis and Ikamvanite Shelton Chadya achieved 1st Place in the Regional Competition of the SAIPA National Accounting Olympiad. 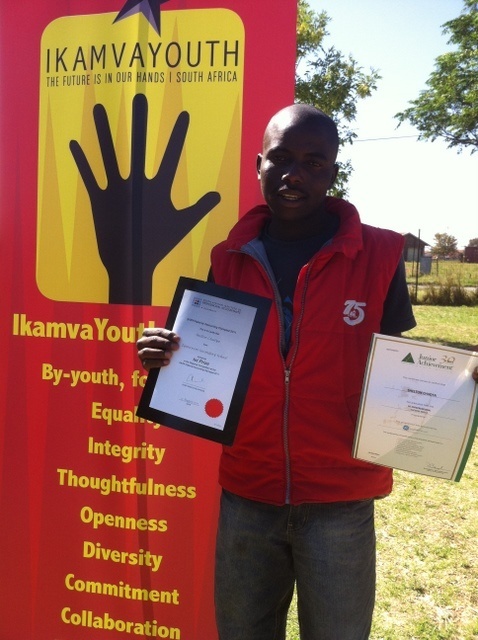 Shelton has been one of Ivory Park IkamvaYouth’s most committed learners and is also the Grade 12 representative on the local Branch Committee. This award is truly an exceptional achievement and few people deserve this more than Shelton whose hard work, perseverence and commitment is paying off handsomely. Of course, this week Shelton’s focus is on Maths and English as the matric exams start in earnest and he is confident his exams will go well. Next Year Shelton plans to be studying (as you would expect) BCOM Accounting and has been accepted at both UJ and WITS. 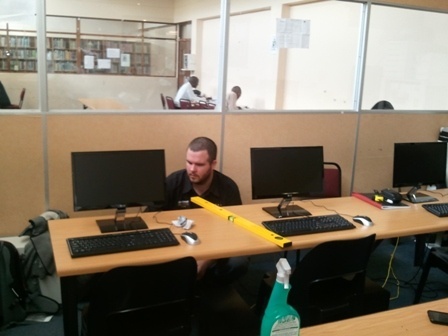 As things stand he is looking for ways to finance his degree. If, perchance, you are reading this and you know someone looking for a worthy candidiate for a scholarship, you really should look no further. We could not possibly recommend Shelton more highly so please get in touch. This is one investment that we can guarantee signfiicant returns on. Email: andrew@ikamvayouth.org for more info. 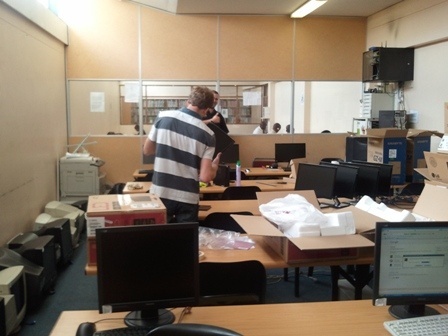 Over the next few weeks 20 students from Makhaza will be embarking on a pilot programme by the Khan academy. This academy is on a mission to provide free world-class education to anyone anywhere. The Khan Academy, an educational NGO created in 2006 by Bangladeshi-American educator Salman Khan, uses over 2600 videos covering anything from basic mathematics, history, finance, physics, chemistry, biology, astronomy, economics and computer science. Championed and managed by Andrew Einhorn, a Potter scholar at UCT the Makhaza lab has had a complete overall, kindly co-funded by the Potter Foundation, the US Embassy and WIT. 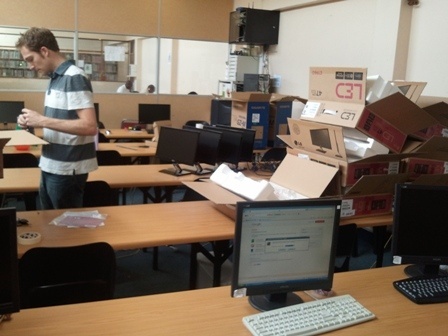 At Makhaza we are piloting this innovative system with the grade 9’s and 10’s involving the math part of the system. We are doing this because of the low basic numeracy skills of township learners. Our learners will cover the basics and ensure that they have the grounding they need to tackle grade-level mathematics. Huge thanks for Andrew Einhorn, the Potter Foundation, US Embassy, and WIT for making this happen!! 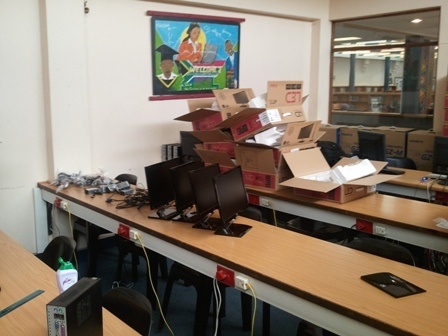 Here are a few pictures of the lab upgrade in action..
People speak of our IkamvaYouth in Makhaza as being a beacon of hope and light in the community, a safe place for learners to come and learn, a place where people become agents of change in their own lives, a place where learners can be safe from the other factors in their lives. Here gang culture is dissipated, close friendships are formed; people feel like they belong. So when the news that Mphumzi Klaas was murdered came though one Sunday morning in June it shattered all of us and everything we believed about in Ikamva was shaken to the very core. Our best friend, confidante, our rock in unsteady times was lost to us forever. And yet, life needed to go on, winter school started the very next day, and so with 150 people balancing grieving and all the high energy that comes with winter school we decided a fitting memorial needed to made, in a place where Ikamva can show the community we may be down but not out. We would all rise out of this and remember Mphumzi though the way he lived his life, his values and love for people, making sure that he lives on through all of us. He embodied a true ikamvanite lived his life with the values of Ikamva at his core. 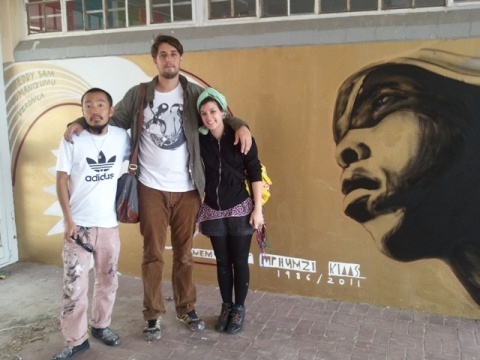 Today he was memorialised on our wall of our office not only for everyone at Ikamva to see but everyone in the community to know IkamvaYouth is bigger than any one person, bigger than anything we could ever imagine, that no mater what happens we go on and only get stronger. Big up to Ricky, Veronica and Vumanizumu!! We LOVE it! Your incredible talent in portraying Mphumzi brings back memories we thought were lost to us forever..